Findlay Market Farms and Farmstands: Growing food, growing farmers, while expanding access to fresh local food. In 2004, Findlay Market hosted a local farmers market once each week from May through October with 17 participating farmers; today it hosts a year-round farmers markets days on weekends with over 45 participating farmers selling fresh produce and value-added products. During the 2009 growing season, The Corporation for Findlay Market began training farm interns to grow market production gardens with the support of a USDA (United States Department of Agriculture) grant. (One of 16 projects funded that year through a USDA NIFA Community Food Projects grant with the goal of increasing access to healthy, affordable local foods.) Findlay Market Farms project is committed to training the next generation of farmers able to meet the growing demand among our shoppers and across the region for fresh local foods. The Findlay Market Farms! interns are learning how to grow commercially on small urban and rural plots and how to direct market fresh produce through the Findlay Farmers Market, Findlay Market Farmstands, and other local farmers markets. 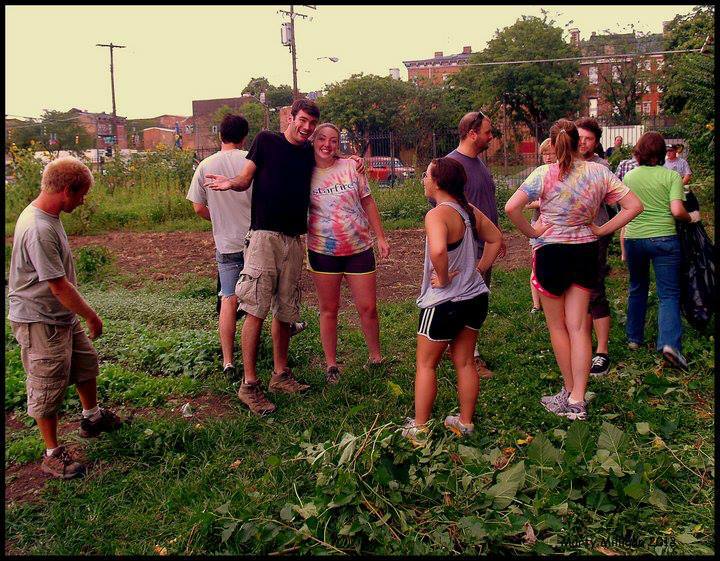 In 2010, we enlarged a pilot project that started with four new urban growers on two small vacant lots near the market to train and equip more new farmers who are growing on about 3 acres of vacant land in Ohio and Kentucky. Has trained more than a dozen farm interns. Currently training two interns who are also enrolled in the agriculture certificate program at Cincinnati State. Growing on two sites, one at Elm and Liberty near the market and another at St. Anne Convent in Melbourne, KY. Provides education and hands-on training on the benefits, challenges and logistics of urban farming and direct marketing at farmers' markets. Provides interns with growing space, start-up equipment and supplies, and booth space at our farmers market to sell produce. Involves numerous partner organizations, including the City of Cincinnati, Cincinnati State, Civic Garden Center, Ohio State University Extension, Turner Farm, and more. Engages youth and adult volunteers in hands-on learning. We invite volunteers to get their hands dirty and contribute to the success of our farm through seasonal farm chores and activities that help them gain a greater understanding of our regional food system. “Volunteering at the Elm and Liberty garden reminds me of the purpose of the Peace Corps, in which I served in Belize: helping people meet their need for training; helping promote a better understanding of other people on the part of the peoples served; and helping promote a better understanding of other peoples on the part of the volunteers.” Chad Vahue, teacher, Clark Montessori School.